The PASC19 Organizing Team is pleased to announce the Interdisciplinary Dialogue on Real-World Applications in Numerical Ocean Modeling featuring Professor Fangli Qiao (First Institute of Oceanography, China) and Professor Eleni Chatzi (ETH Zurich, Switzerland). We would also like to remind you that applications for the Student Travel Grants close on February 24! In this plenary session Professor Eleni Chatzi from the Institute of Structural Engineering at ETH Zurich will interview Professor Fangli Qiao from the First Institute of Oceanography, China, about his domain of expertise – ocean-related computational research. The ocean, a source and support of life on the earth, is one of the most complicated systems for scientists to simulate accurately. Numerical ocean models, running on the world’s most cutting-edge supercomputers, are the key tool for understanding and forecasting oceanic phenomena. Improving the accuracy of numerical models requires finer resolutions and incorporating more reasonable physical processes, and recent increases in computing power have enabled more detailed calculations on even finer grids. In this interdisciplinary dialogue we will address such questions as – what is state-of-the-art in numerical ocean modeling? And what are the current trends in model improvement? We will consider several applications of the surface wave-tide-circulation coupled numerical ocean model, such as nuclear radiation spread prediction following damage to the Fukushima Nuclear Power in 2011, and the rescue of lives at sea after boats capsized near Phuket in 2018. We will also discuss the history and challenges of numerical ocean model development and how ocean models and supercomputing relate to our everyday lives. 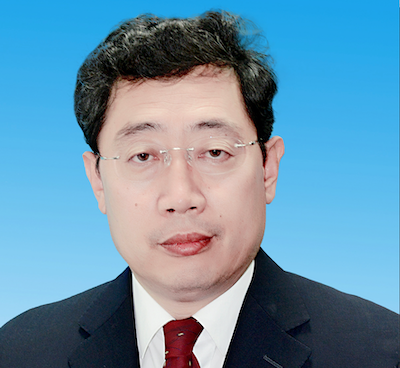 Fangli Qiao is Chair Professor of Physical Oceanography at First Institute of Oceanography, Ministry of Natural Resources of China. He is a member of the Executive Planning Group for the UN Decade of Ocean Science, and the vice chair of IOC/WESTPAC. He discovered the non-breaking surface wave-induced vertical mixing, which is crucial for reducing systematic simulation biases in the upper ocean for various ocean and climate models. He led the development of a highly efficient parallel surface wave model which ran on more than 10 million CPU cores, and was a Gordon Bell Prize Finalist in 2016. He has more than 270 publications in peer-reviewed journals and has served as editor of Ocean Modelling and the Journal of Marine Systems. 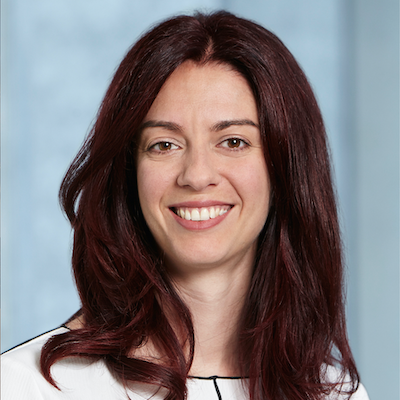 Eleni Chatzi is an Associate Professor and Chair of Structural Mechanics and Monitoring at ETH Zurich. She received her PhD (2010) from the Department of Civil Engineering and Engineering Mechanics at Columbia University. Her research interests include the fields of Structural Health Monitoring (SHM) and structural dynamics, nonlinear system identification, and intelligent life-cycle assessment for engineered systems. She has published numerous articles and serves as editor for international journals with focus on topics relating to SHM. She is currently leading the ERC Starting Grant WINDMIL on the topic of “Smart Monitoring, Inspection and Life-Cycle Assessment of Wind Turbines”. We are pleased to remind you that SIGHPC will offer four travel grants to enable undergraduate and graduate students to attend the conference. PASC19 will cover the corresponding registration fees. Selected students will be assigned a mentor for PASC19 who will help them get the most out of the conference by suggesting relevant program sessions and introducing them to experts in their research field.